The 2014 “Honey Badger Takes What He Wants” Award, if it existed, likely would have gone to the Louisiana Tech Bulldogs. They led the nation in interceptions, total takeaways, and points off turnovers. If they can replicate that again, a ten-win season is in the picture. Unfortunately, Florida transfer Jeff Driskel was pretty generous with the ball in his disappointing stint in Gainesville. Driskel threw 20 interceptions in his career at Florida. As a matter of fact, I’d be willing to set the over/under for his average interceptions per practice in Ruston at 5.5. 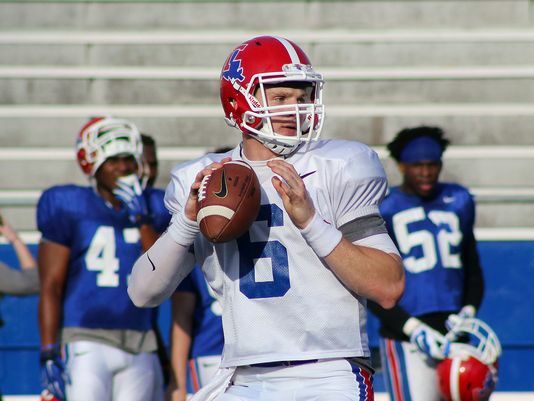 Driskel was a highly rated recruit, so maybe the talent is there and a change of scenery will do him some good. If not, expect last year’s backup, Ryan Higgins, to overtake Driskel as the starting quarterback. On the bright side, even if the Bulldogs have sub-par quarterback play there are plenty of weapons at the skill positions to bail them out at least a little bit. Kenneth Dixon is a legitimate threat in both the passing game and the running game out of the backfield, and could end up being one of the top running backs selected in the 2016 NFL draft with a solid season. Dixon ran for almost 1,300 yards and 22 TDs last year and added 385 receiving yards. 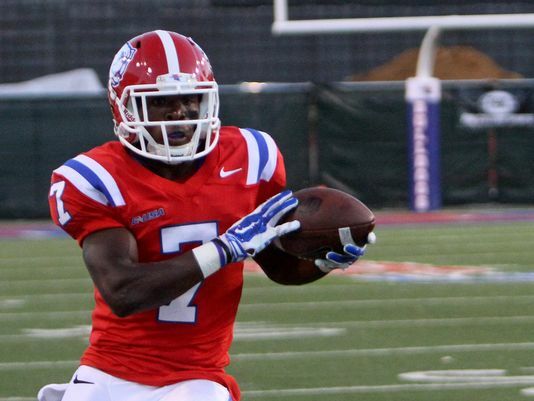 A loaded receiving corps also returns to Ruston this fall. Trent Taylor and Paul Turner make up one of the top receiving duos in the conference, and ace return man Carlos Henderson should have an expanded role in the offense this season. Although, saying he needs an expanded role may be selling him short as he managed to turn 29 receptions into over 500 receiving yards last season. This offensive line won’t be the most experienced unit, but every starter does have at least two starts under their belt. They ought to at least be a solid group, with the potential to be even better than that. Left tackle Jen Danielson and C Kirby Wixson are the leaders in the experience department with 13 and 12 starts respectively. Wixson has also received some preseason all-conference love from some. One more time let me say this, the Bulldogs led the nation in takeaways, interceptions and points off turnovers. And the scary thing is that most of that havoc reeking secondary returns. Four players return that had two or more interceptions last season, led by safety Xavier Woods. Woods and CB Adairus Barnes combined for 11 interceptions last season and are back in 2014 to strike fear in the hearts of opposing C-USA passers. Losing Houston Bates and his ten sacks from the defensive line hurts, but the line should still be formidable. Vernon Butler and Vontarrius Dora headline the defensive front and are two of the better defensive linemen in the conference. Butler and Dora only had 5 sacks between the two of them, but they’re combined 19.5 tackles for loss is impressive. A major concern for this defense though is linebacker. After losing the top three tacklers at linebacker from 2014. Nick Thomason did have 7 tackles for loss, and is one of five linebackers on the roster who saw game action in 12 or more contests last year, but only Thomason and C.J. Cleveland topped 30 tackles. 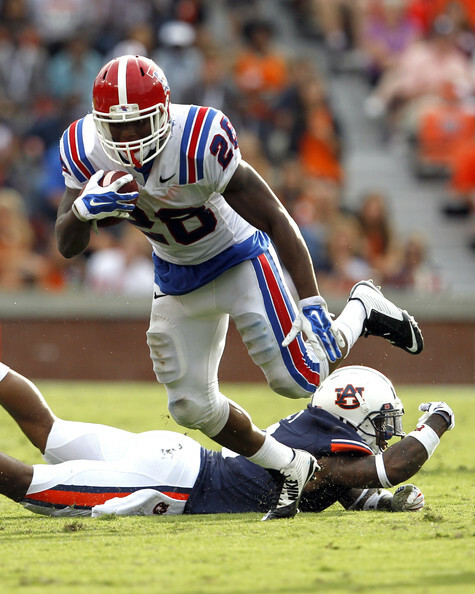 Louisiana Tech is a heavy favorite to win the Western division entering the season and for good reason. If there are reasons to be cautious it’s that the turnover up front may prevent the secondary from being as proficient at creating turnovers, and that there’s no guarantee that Jeff Driskel will improve just because he is playing against “lesser” competition. That being said, this team is absolutely capable of winning ten games this season, and has a chance to prove it early with a trip to Western Kentucky in the second week of the season.